When it comes to sending voice calls over mobile phones, there are two options available at our disposal: VoIP and VoLTE. Even though many people assume that the two technologies are similar, they are not. VoIP is a very generic term and it encompasses everything related to the transfer of voice or other multimedia packets over the internet whereas VoLTE is a technology specific to mobile phones which uses the 4G LTE cellular networks to send and receive voice calls. On a grand scale, VoLTE services are only suitable for mobile devices; conversely, VoIP can offer enterprise solutions that also cover remote communication. In this article, we will draw a juxtaposition of the two technologies, see how they fare in different scenarios, and we’ll offer an evaluation of VoIP vs. VoLTE. We will start by comparing the two technologies when used to power mobile devices. VoIP features are accessible from computers, smartphones, and tablets that have access to an adequately fast internet connection via softphones. 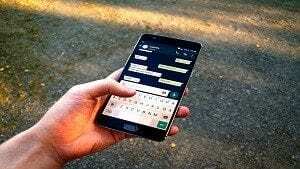 Users can use Wi-Fi, 3G or 4G to place VoIP calls. Most VoIP service providers have smartphone applications that let you access all VoIP services from your smartphone, just like you would from your office phone. You can send texts, instant messages, make voice calls, use features like Follow Me or Presence, and even start video conferencing on the fly with the modern day VoIP smartphone applications. 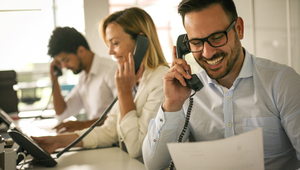 Take a look at the comparisons between the best VoIP service providers on the market today such as RingCentral and Vonage. On the other hand, VoLTE is a technology, the power of which can only be harnessed via a 4G LTE cellular network on a mobile phone. In order to place voice calls, both the sender and the receiver have to be connected to a 4G network. A 4G LTE network can allow users to send voice and data packets simultaneously without incurring any packet loss, latency or drop in call quality. Depending on the service providers, VoLTE also supports video calling, provided both devices support the functionality and are connected via the same network. VoLTE can also support RCS (rich communication services) like video voicemail and file transfer, but most of the contemporary deployments only make use of it for voice calling purposes. When it comes to call coverage, VoIP once again leads the way because of its ability to run on 3G or 4G networks. VoLTE, on the other hand, can’t function without a 4G LTE network. 3G networks are relatively easy to find nationally and internationally because most of the service providers now support 3G which makes life easy for VoIP users, however, finding 4G LTE coverage can still be hard which makes call coverage limited for VoLTE users. The VoLTE market analysis done at the end of 2015, by a research firm Zacks revealed that AT&T, Verizon, and T-Mobile were still in the inceptive stages when it came to 4G LTE. Only 33.3% of T-Mobile’s calls were made over VoLTE whereas AT&T made the service available in only 30 states. Since 2015, a lot of advancements have been made in the 4G LTE department but call coverage can still be a relatively tangible problem when it comes to VoLTE. VoIP and VoLTE both have the capacity to offer high definition video calls. With that said, VoLTE does promise to offer better voice quality because of its superior 4G internet connection compared to VoIP’s 3G based connections. Here’s the catch though: VoLTE needs quality of service (QoS) features in order to ensure that it supports high definition calls. QoS ensures minimization of latency, jitter control and prioritization of voice packets over the network. You can only make high definition calls over VoLTE if both the sender and receiver carry 4G devices that are HD-enabled as well. In contrast, VoIP calls can be made without a necessary QoS implementation, which obviously would lead to elevated chances of network congestion or slower speeds, which would eventually become the cause of quality loss. Some VoIP providers offer private networks to overcome the lack of QoS and to ensure high levels of quality. From this analysis, VoLTE definitely wins the battle when it comes to call quality. Nothing makes VoIP and VoLTE feel more different than the level of support they provide for other communication forms. As mentioned above, VoIP is supportive of a lot more than voice telephony whereas VoLTE isn’t. This is significantly important because with VoIP, users can get a lot more tools that cater to different needs. Sending emails, texts, IMs or voice messages when a voice call isn’t possible, is definitely desirable and often important. The possibility of voice and video conferences also makes VoIP a far hotter choice in the minds of the users. Even when we consider customers, VoIP seems like a more feasible option because voice is not always the first choice whenever a customer wants to contact a company. It’s always good to have the ability to contact support via on-site chat first and see if that figures things out. On the other hand, they can also set a video conference up if the chat and the voice call were not enough. Moreover, a simple email can do the trick if all they want is to place an order. When you get the complete range of multimedia services available at your disposal from your smartphone, then that definitely boosts productivity. With VoIP, you have access to multi-channel communication and by using the rich set of features including Follow Me, Presence or call conferencing, people can stay in touch better and keep operations streamlined better. Also, VoIP has the capacity to integrate with other in-house applications like a customer relationship management (CRM) system which helps keep everything synchronized. Conversely, users using VoLTE can only make voice calls and it is only possible when they have access to 4G LTE (and the receivers do too). 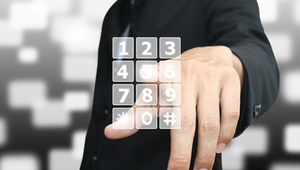 It’s safe to say that VoIP, once again, wins when it comes to mobile productivity. Where VoIP currently proves to be the better choice when compared to VoLTE, analysts believe that as soon as the prevalence of 4G LTE increases, the true prowess of VoLTE will start becoming apparent. VoIP currently offers an extended set of multimedia and communication features whereas VoLTE offers superior call quality with limited call coverage in case 4G LTE networks aren’t available. With more pros than cons, VoIP stands out as the superior choice in so many ways that you absolutely cannot go wrong with choosing this as your first choice of business communication.